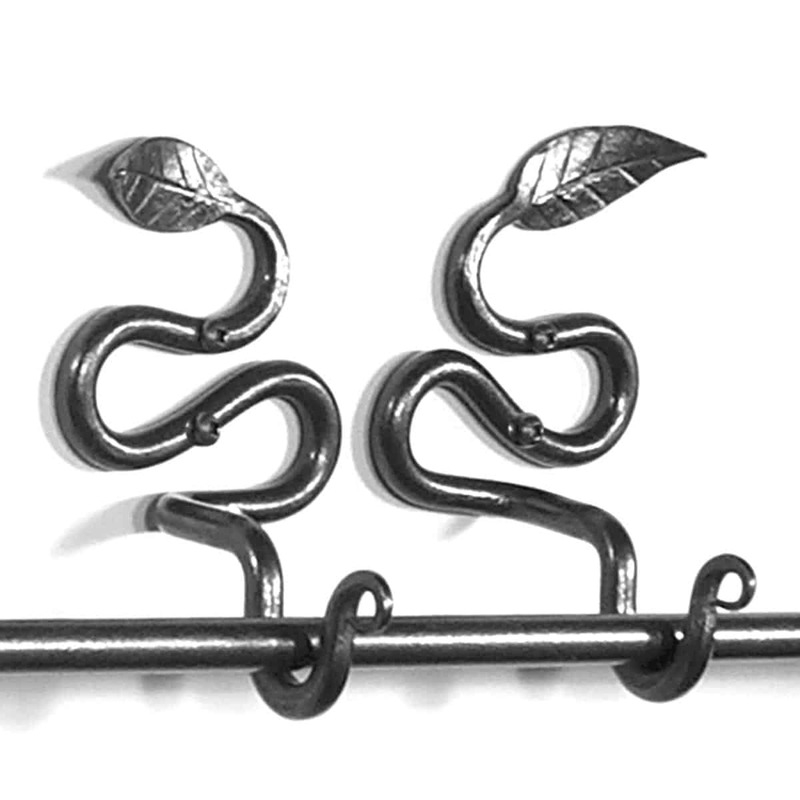 Curtain accessories or window dressings are usually the final addition to any room. 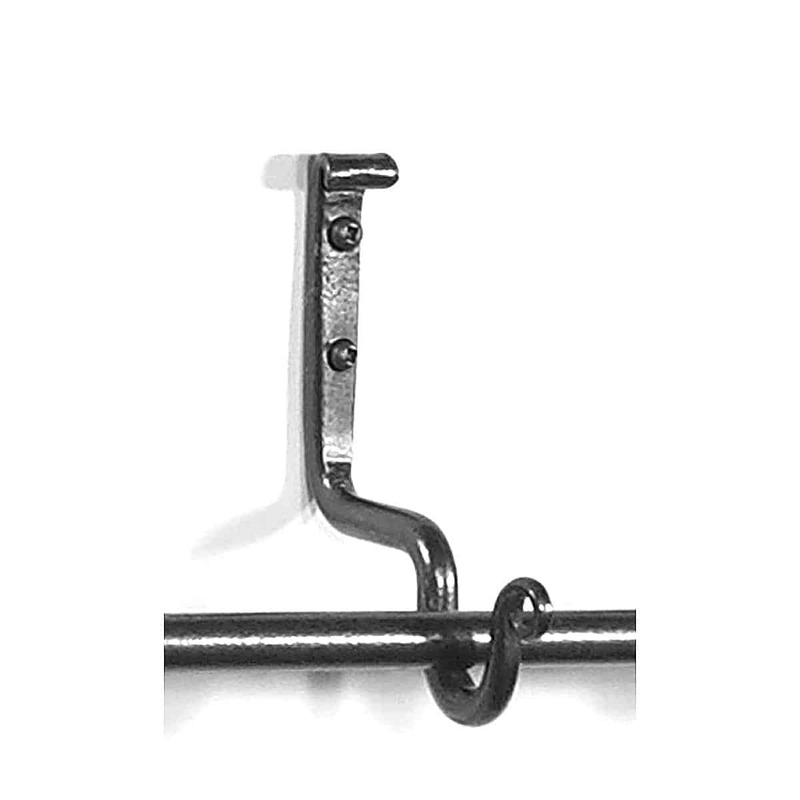 With the flexibility of three adjustable sizes, no window is too big or too small. 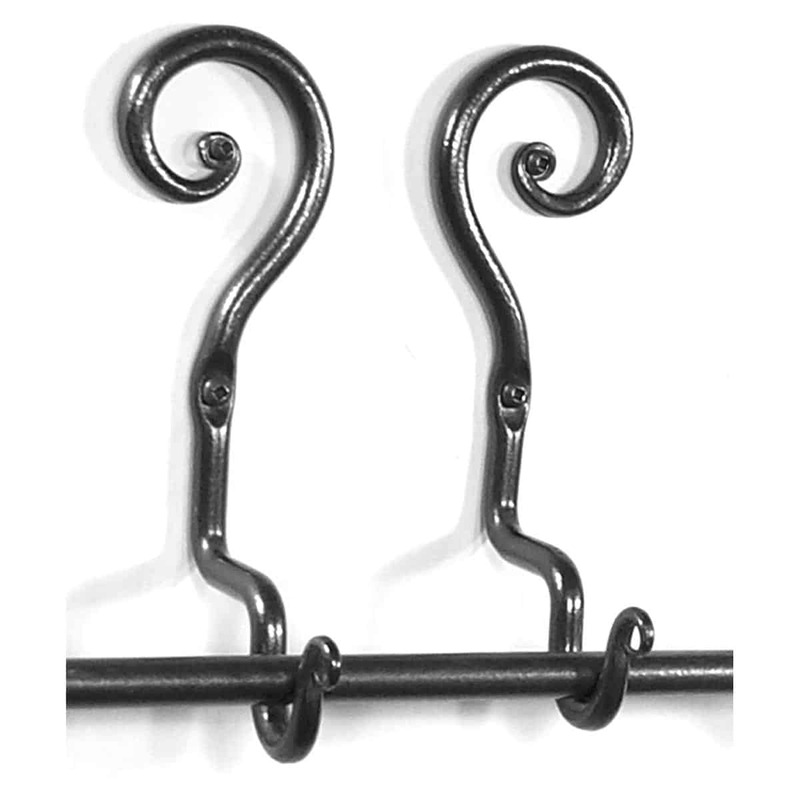 We can create custom bay window rods and custom length curtain rods to fit just right in your home. 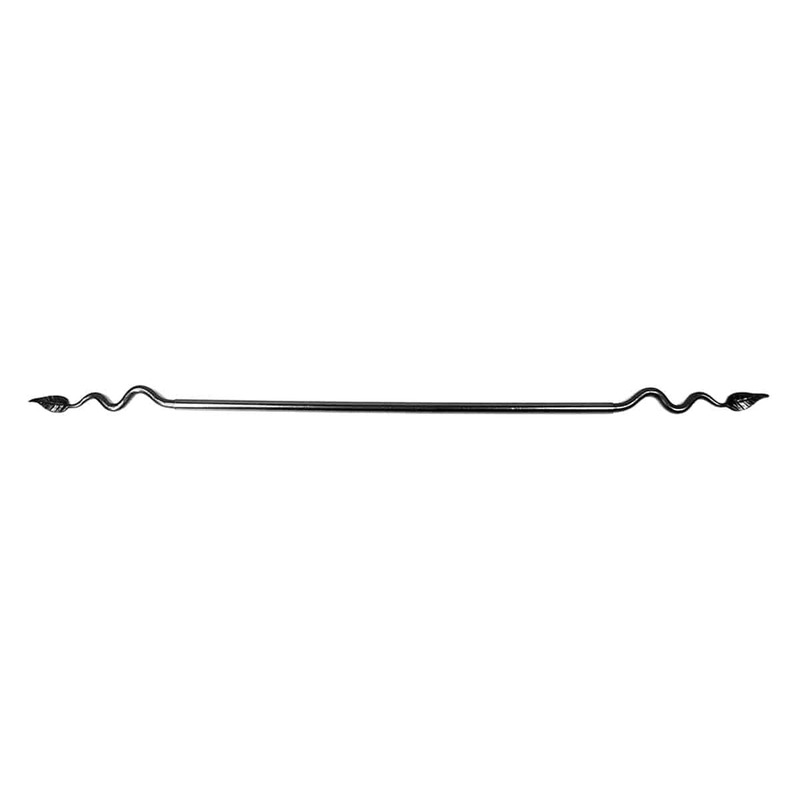 Please contact us with your inquiry and we will be happy to quote you. 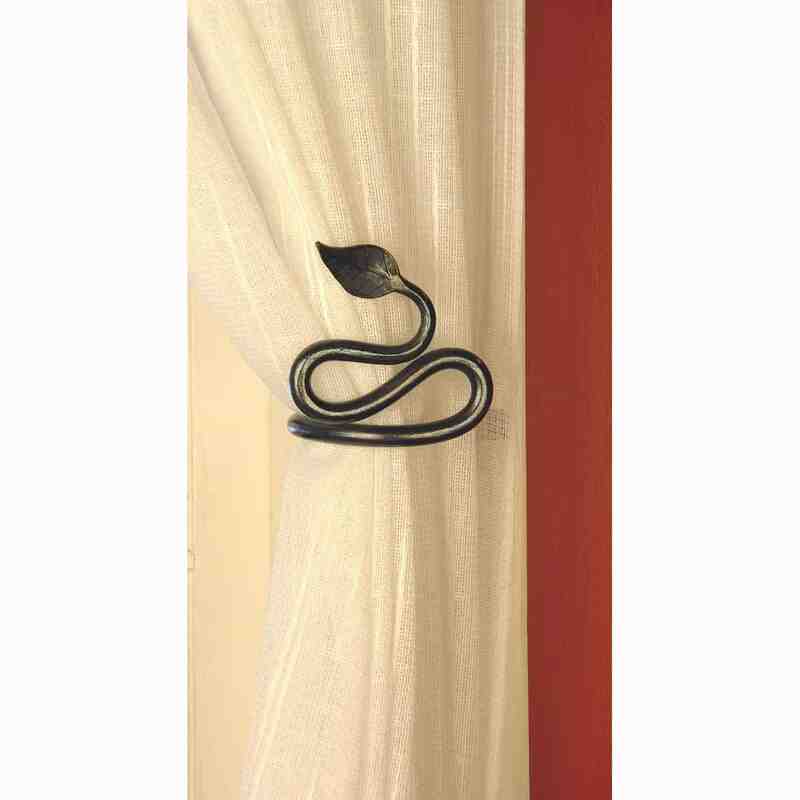 Our standard curtain accessories feature our two signature styles, the curl and the leaf. 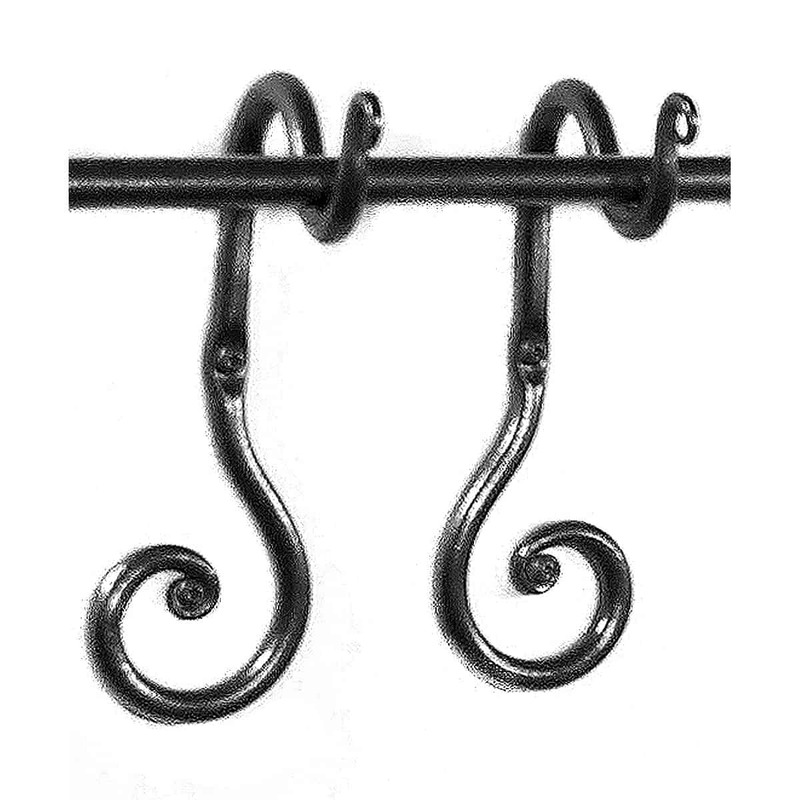 The curtain holders have the decorative part either going up or down, depending on your needs. 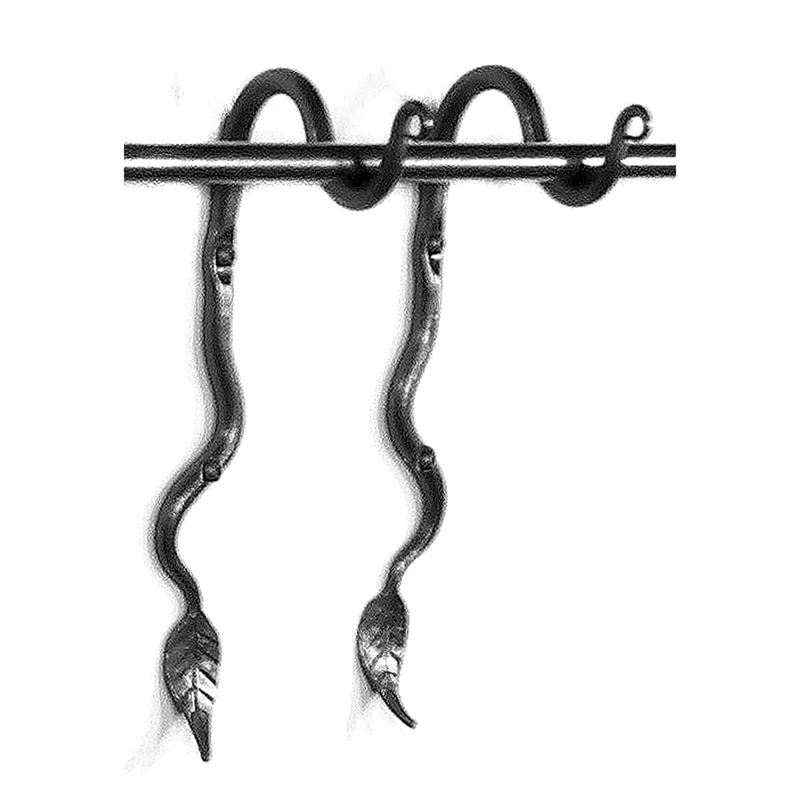 The holders are sold in pairs (matching pairs), the centre curtain supports are sold individually. 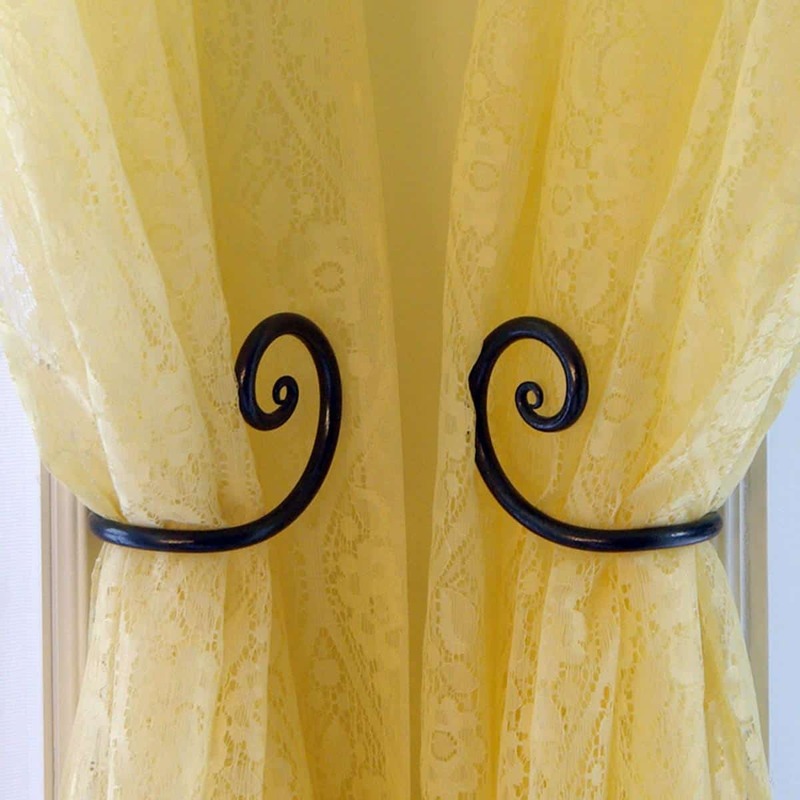 Note: The holders bring the curtain rod 2.5″ out from the wall (or window frame). 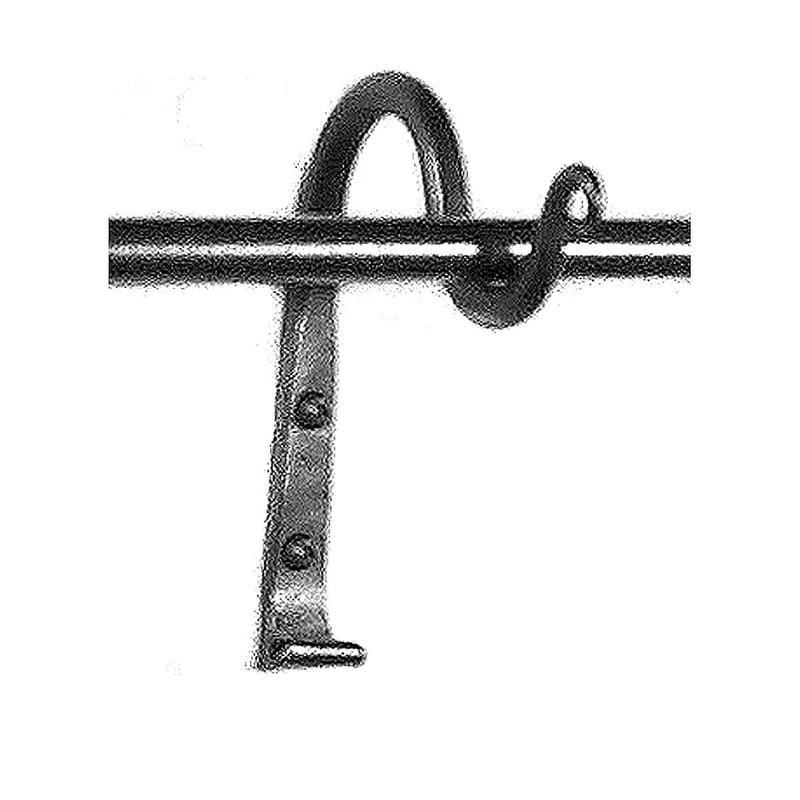 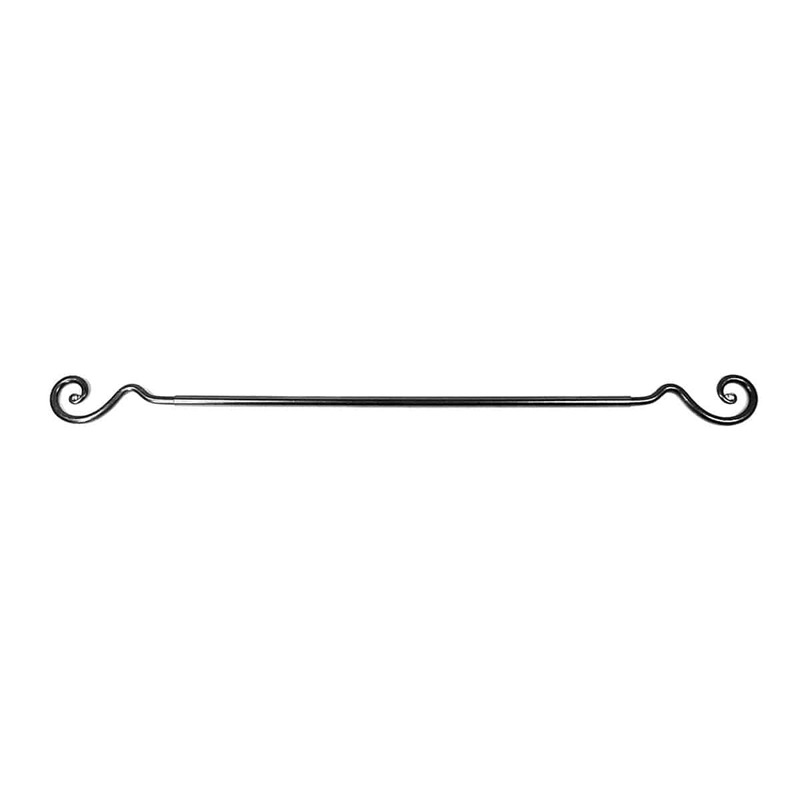 Curtain Tie-backs are also sold in pairs.